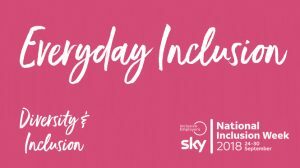 As you have probably noticed it’s National Inclusion Week giving departments the opportunity to showcase and promote the great work they do around Inclusion. There will be lots of events happening across departments so we hope you get involved. We’d love you to come and dance with us at CS Local. We’re passionate about bringing people together to share experience, grow knowledge and develop ideas to build a brilliant Civil Service. Read about one example here. Another example is our commitment to improving the way we work. As a team we are spread across the country and need to work flexibly to meet the demands of the role. This could easily lead to feelings of isolation and anxiety but by regularly keeping in touch and being there for each other it’s a win win position that benefits us as individuals and the organisation. If you have an event happening in your department why not make it really inclusive and invite people from neighbouring departments. The more we can break down barriers the more inclusive the Civil Service will become. Check our pages (Sign up for email alerts so you don’t miss out) for events such as Meet the Neighbours in Bristol or if you are in London here are some events this week which all civil servants are invited to. 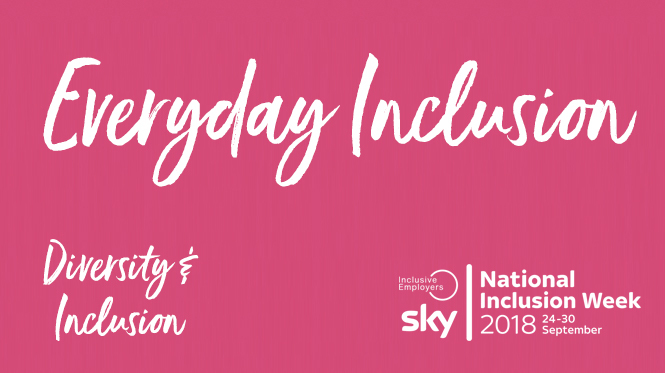 Inclusion is not just a ‘one week in a year’ event though, so get involved and be curious about what your organisation and others do throughout the year to make the workplace and culture more inclusive and a great place to work. These are all good initiatives. If we are to have greater inclusion I would like to see it made easier for people to move to and from departments and agencies and also to be able to join CS local on secondments. At the moment there is so much red tape that prevents these things from happening. Would love to hear your thoughts on what we can do to remove barriers to moving across departments. We are very keen to take more people on secondment to help deliver our activities. If you department is willing to fund this, please do contact us and we'll see how we can support.